For over 30 years now I’ve trained and worked with project managers in Fortune 100s, government agencies, research institutions and fast-growing businesses all over the world. I believe that project managers like you are the unsung heroes of our time because we are responsible for 90% of the positive changes in the world. But I’m upset. In the last two years, I’ve noticed a huge problem for project managers and teams. And it’s getting worse. While the pressure to deliver successful projects is increasing, so are the obstacles in our way. 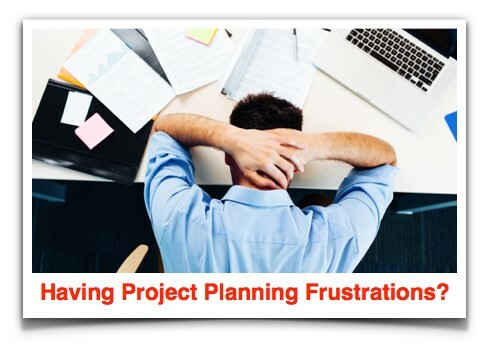 Let me candidly ask you – ever had a day when your project was/is a nightmare of frustration? Can’t get stakeholders on the same page? Your team is busy … but not productive? The goals are constantly changing? You get blamed for failure when it’s not fault? That drives me crazy, and I’m on the hunt for solutions to help you do your work better, protect your job, and advance your company and your career. I am fully committed to finding practical solutions that let you get home on time for dinner with your family for a change, instead of having to work late into the evening and on weekends fixing problems that should never have occurred in the first place. But first I need to know what’s bothering you the most. So help me out. I’m doing a 2-question survey to identify the main problems you are having and to offer practical solutions. It’ll only take 2 minutes and I’ll share the results with you and my suggested solutions. Go here now. I am so sick and tired of seeing smart and committed men and women battling obstacles that shouldn’t even be there. Aren’t you? Share your frustration now.